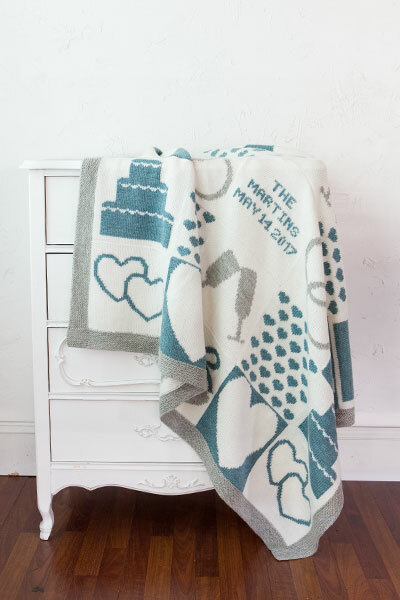 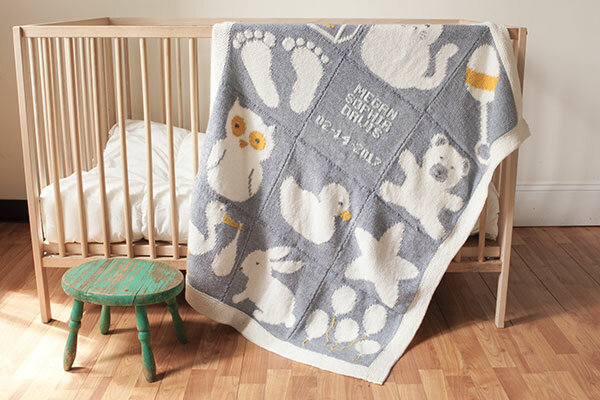 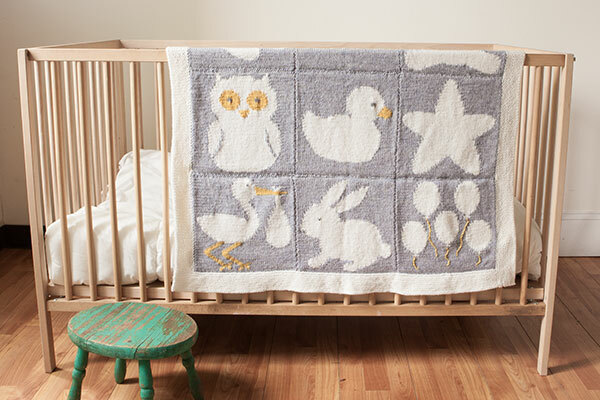 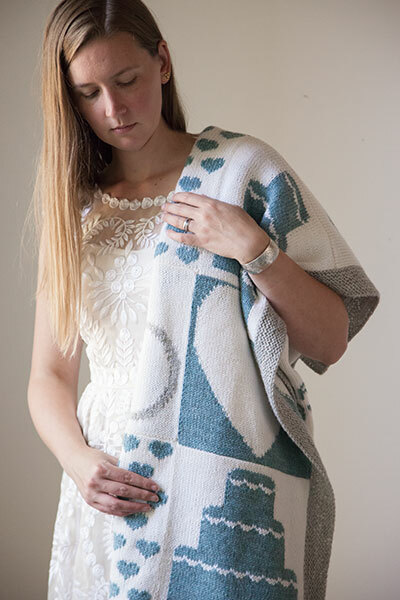 As avid knitters, we've learned that blankets are really the perfect handmade gift...they don't need to fit the recipient or match a wardrobe, and can easily be enjoyed and cherished for years and years. 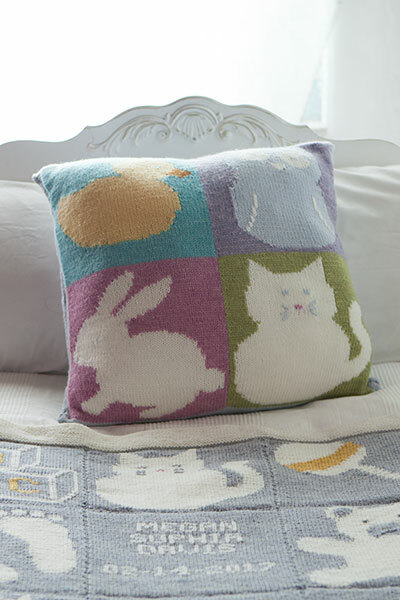 Pillows are great gifts as well, adding a pop of personality without overwhelming a room's design. 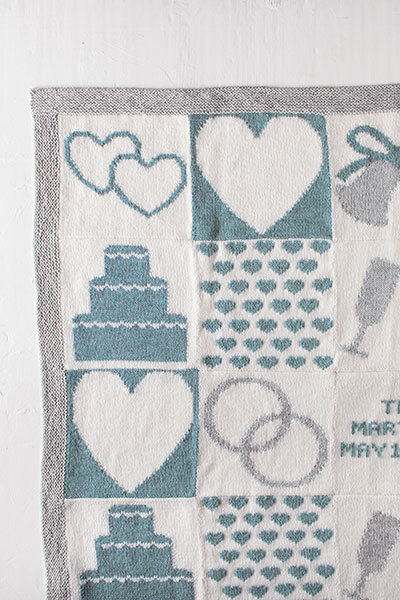 Capture the special moments and celebrate the people in your life with Milestones & Memories. 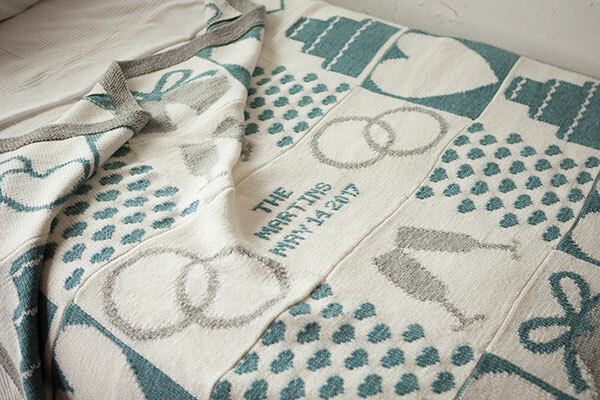 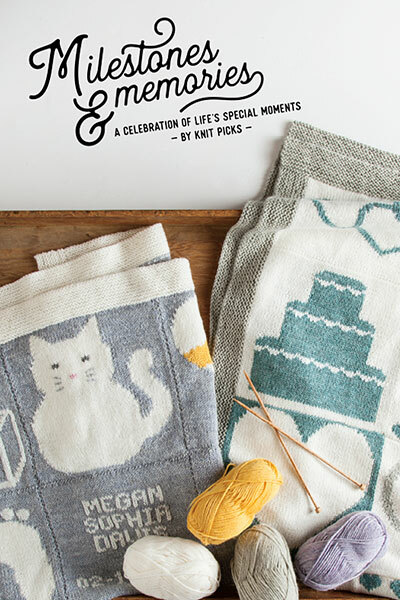 Use the modular system of colorwork squares in this book to create an heirloom for your loved ones. 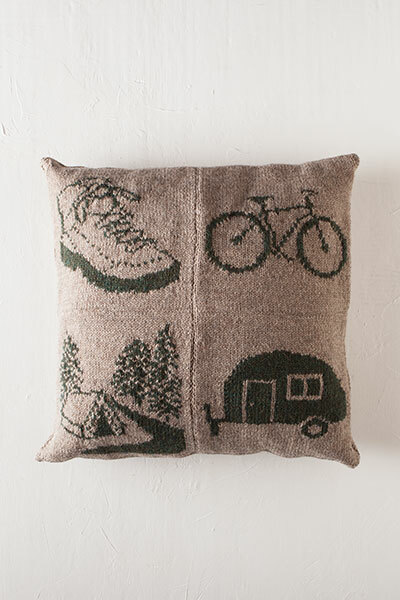 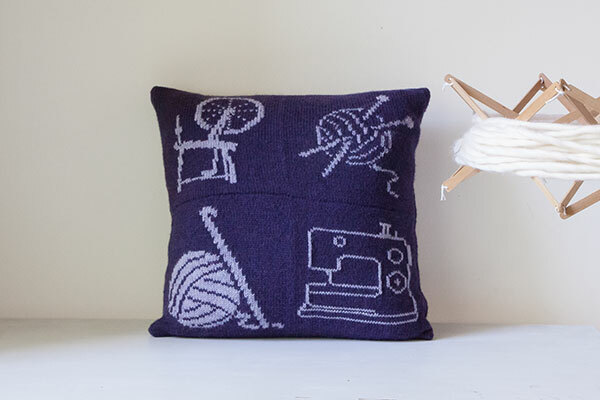 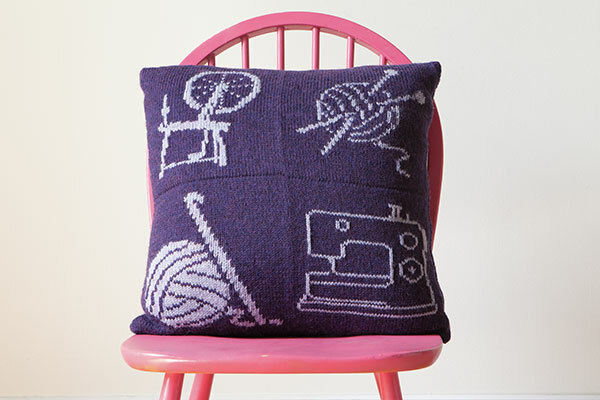 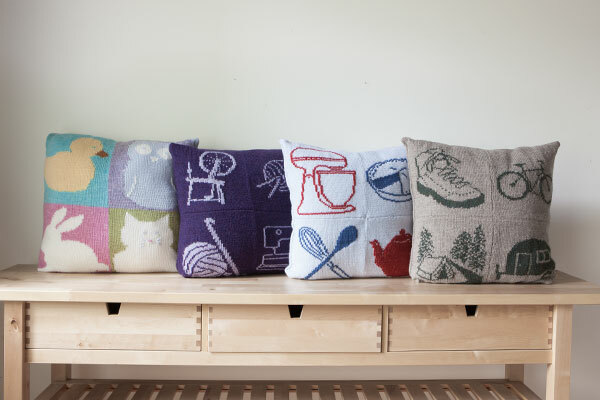 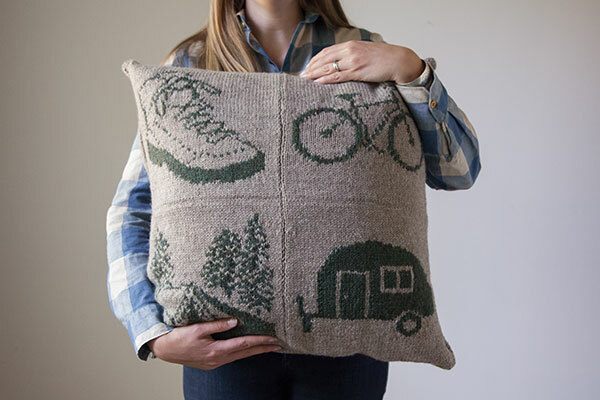 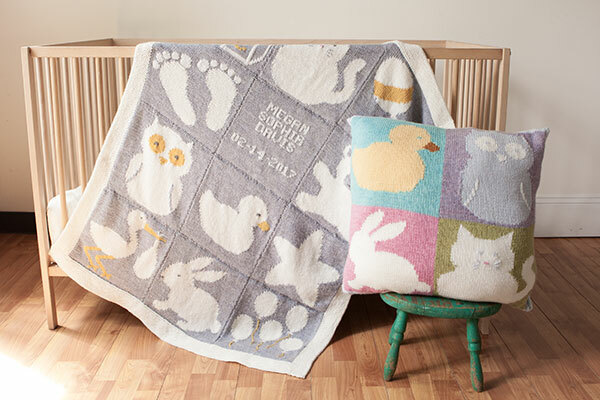 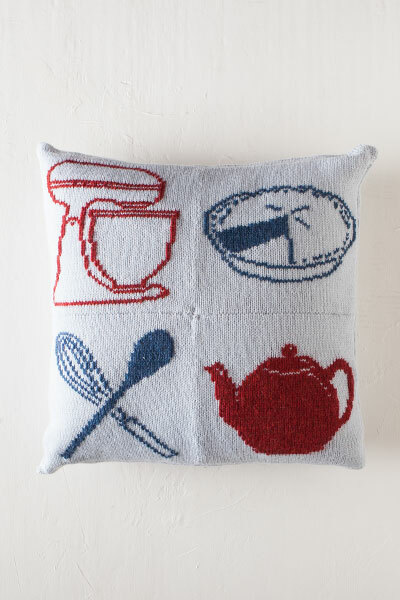 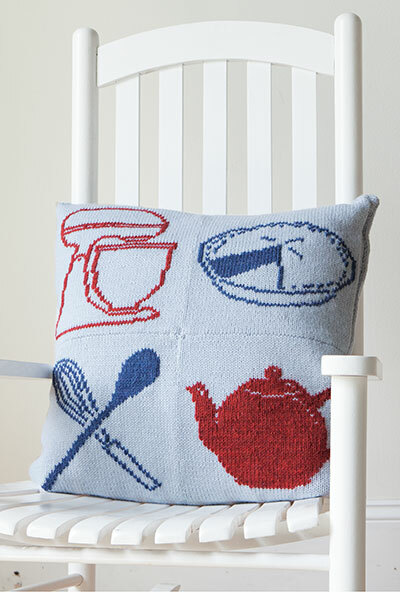 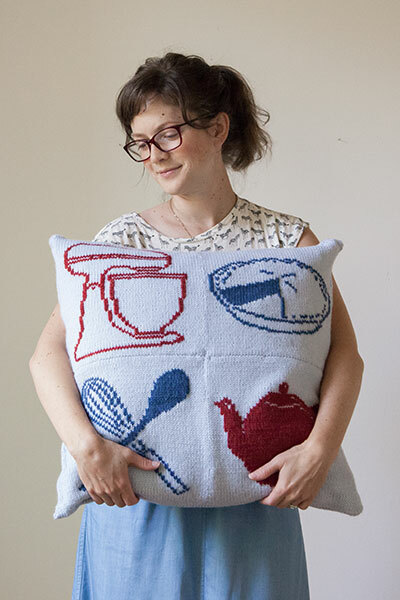 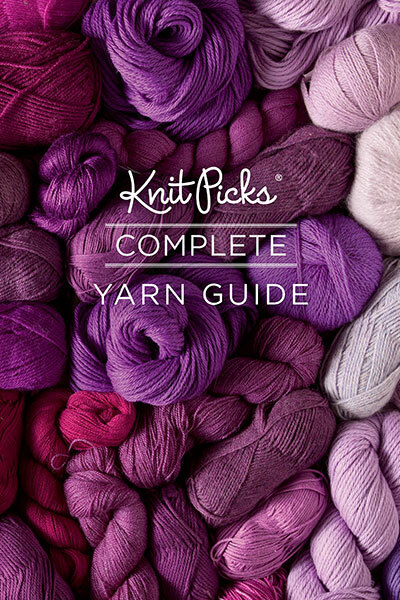 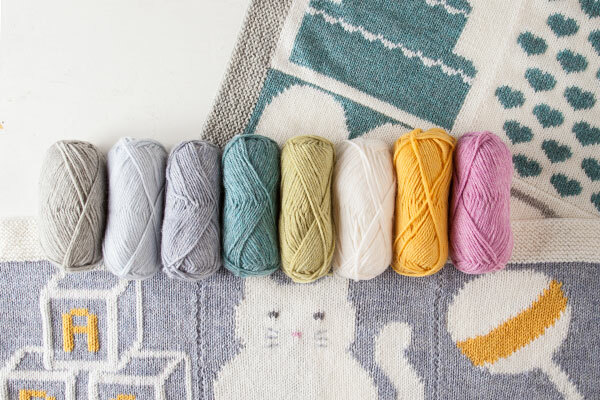 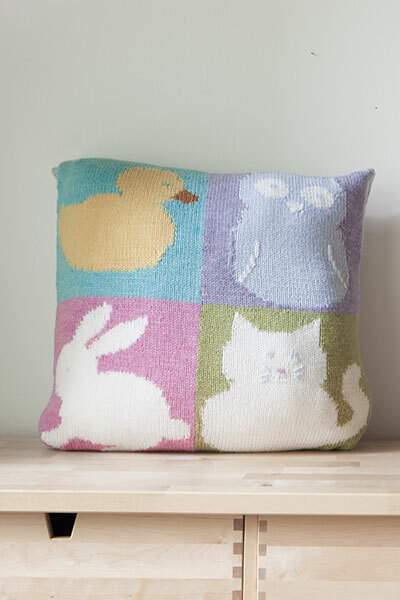 Simply choose your size - throw, blanket or pillow - choose your charts, and get knitting! 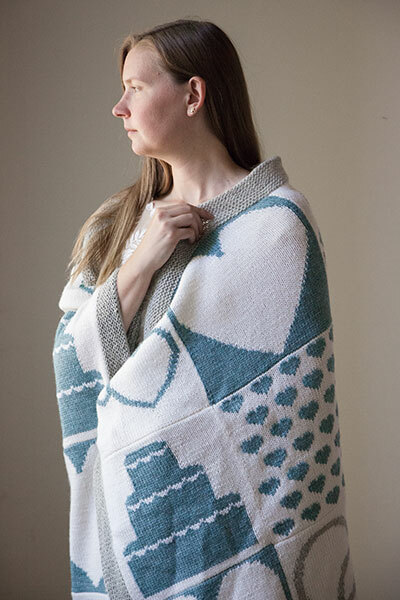 Using basic intarsia and duplicate stitch, the charted designs included are suitable for even knitters new to colorwork. 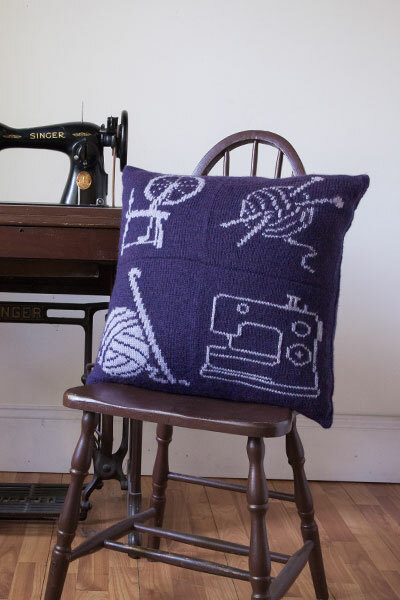 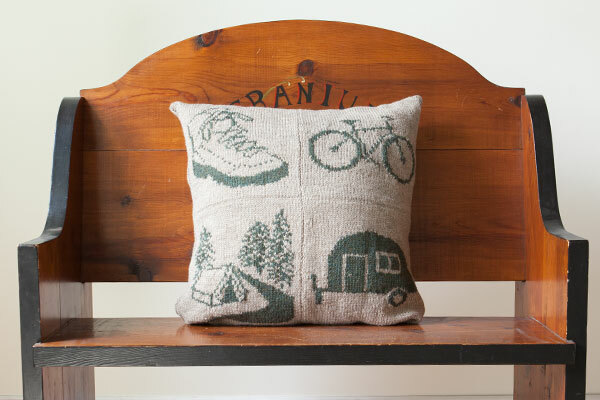 You can commemorate the wedding day of the dear ones in your life in a way they will both treasure and use, or celebrate that awesome friend with a throw pillow tailor-made to their passions and interests. 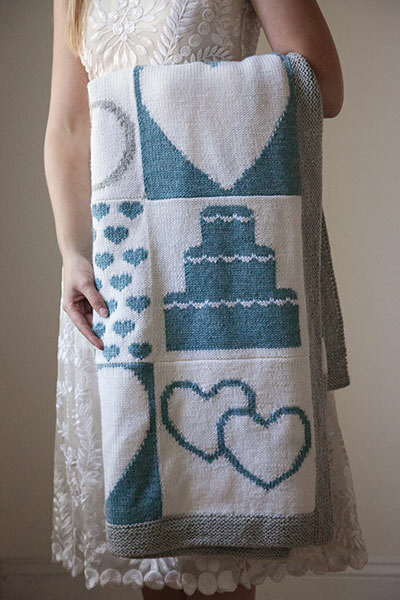 With over 40 charts to choose from and templates to create your own, you'll be able to find the perfect way to show someone you care with a personalized gift, made with love just for them. 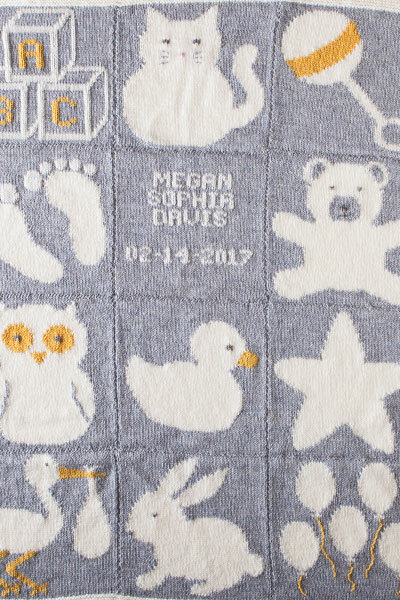 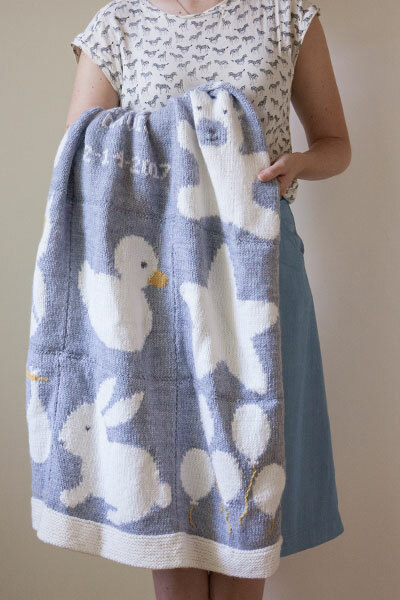 Was looking for a baby blanket pattern that incorporated iconic images. 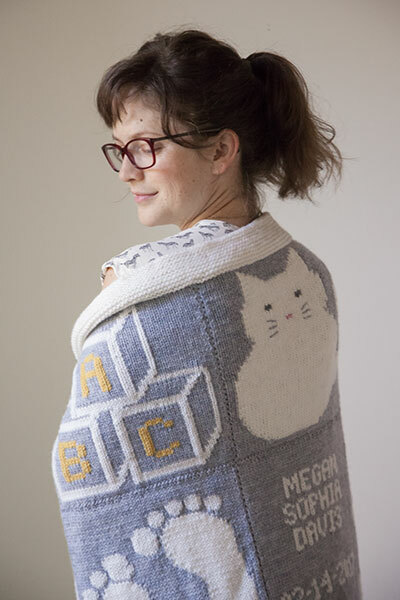 This was perfect. 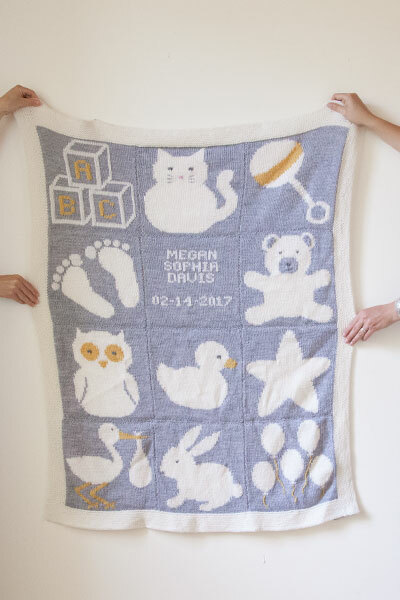 The graphs were easy to follow and inspired me to create a few images of my own to add to my daughter's blanket. 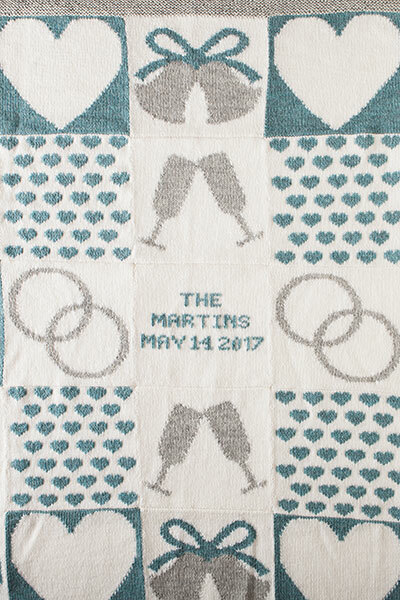 Thrilled with how it turned out!